I was pretty determined to get out this weekend despite the snow, freezing temperatures, and Easterly winds gusting up to 40 mph making it feel colder. 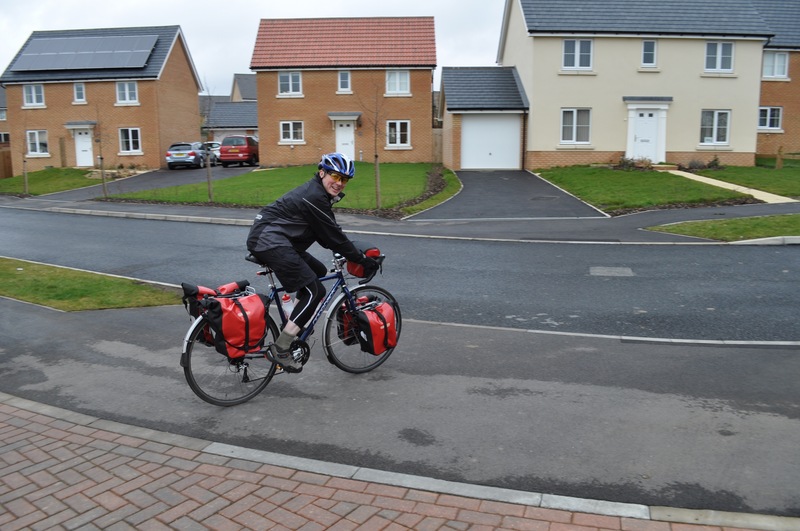 Still, at least it was sunny for the majority of the ride, and I had a good run out to North Walsham even if I had to lean into the wind at times. It was a little precarious on some of the open stretches lacking in hedgerows. I’ve come to love a good solid hedge when it’s windy, there need to be more of them for many reasons; wind break, commuting channel/habitat for wildlife, stops soil erosion, reduces noise pollution from traffic etc. Aside from the odd commuter wending their way back from the shops, in a buffeted fashion, I didn’t see any other cyclists out today. All the ‘Mamils’ must have decided discretion was the better part of valour and stayed in, can’t say I blame them. Did see many pigs on my way through the countryside, happily wallowing in the mud and turning my thoughts to bacon (only felt slightly guilty). Good to see the pig farming trade must still be going well in Norfolk though. On the way back my knee flared up again which is irritating, and something I’m going to have to keep an eye on with only just over a month to go before I set off. I’m applying Ibuprofen gel, Emu oil, and might try some Glucosamine supplements to sort it. It’s not an uncommon problem for cyclists and should be fixable. I’ll work on a physio routine for it too, but if anyone has any tips for frontal knee pain let me know. I think I’ve acquired everything I need for the tour now after picking up a new stove (Whisperlite), and charging device (PowerMonkey eXtreme); Cotswold’s have done fairly well out of me in the last few months but at least I get a discount, and they’re generally pretty knowledgeable and helpful. I was in a quandary over the PowerMonkey however after reading several reviews, and cogitating for a bit, I think it was the right way to go. I can recharge it from the mains or via the solar panels that come with it, which I can set up on my back rack when I’m cycling along, and it’ll definitely charge all my devices including iPad. The alternative was a dynamo which I’m still not sure wasn’t the better idea, however this won’t charge things when I’m not on the move (day off), and I won’t always be at a campsite where I can plug stuff in. 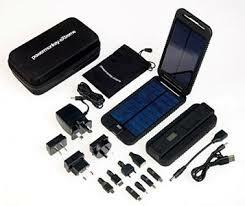 The PowerMonkey also doesn’t need full sunshine which is a blessing given British weather. Also bought a dry bag to put my tent and sleeping bag in; I’ll attach this via bungee cords to my back rack. 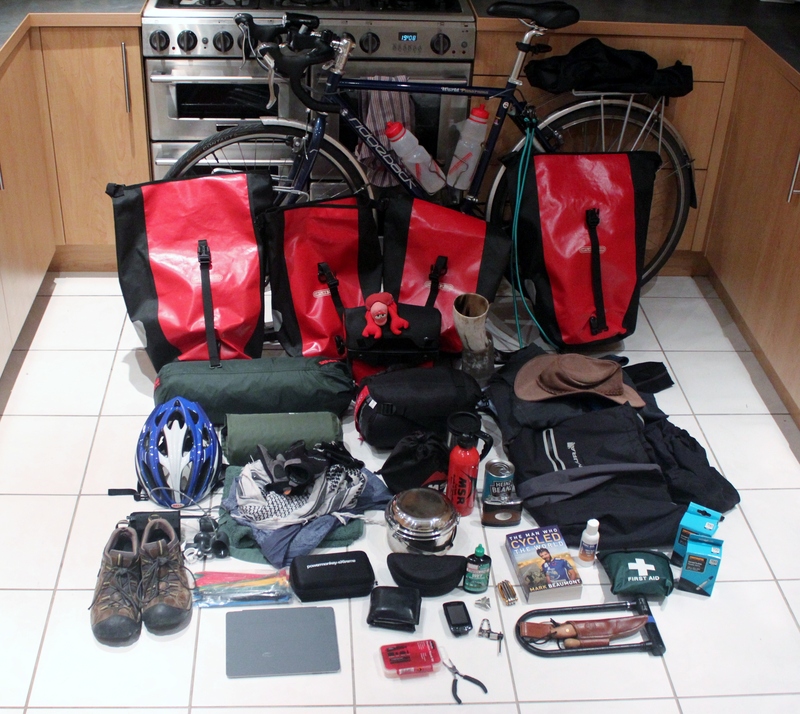 Having laid out the majority of my kit on the kitchen floor earlier I’m not entirely sure how it’s all going to fit on my bike – see below. I’ll need to add more food, a few more clothes, a foraging guide book and puri-tabs (in case I run out of water, although I’ll still boil it) and perhaps a bottle of something medicinal to the above. 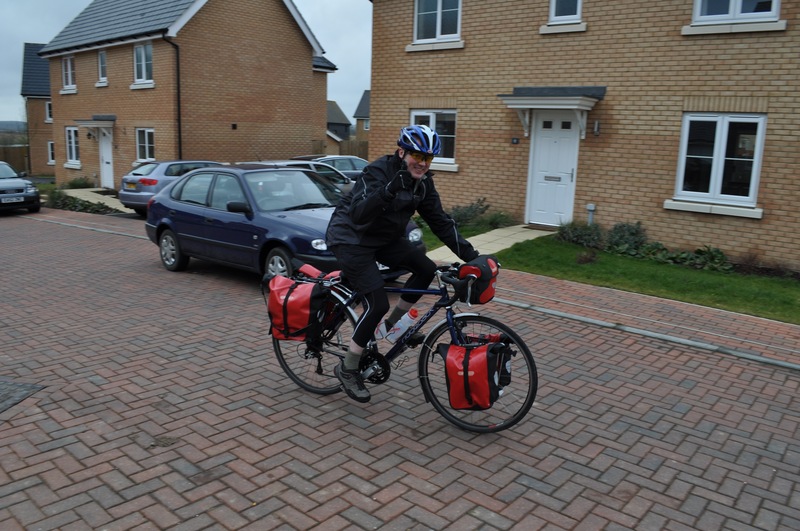 Next weekend I’ll have a practice run with everything on the bike – might venture down to Cambridge again depending on knee status. It’ll be interesting to see if I can still move under a full load, and how much I need to rationalise my kit list. Wondering if I should give ‘Fregansim‘ a go on the tour, which will basically involve checking out supermarket skips for any recently past it’s sell by date food. It is after all stupid how much food is wasted and would save on cash. Will have to look into the legality of it. Be great if I could take a fishing rod but there isn’t really room. Like the idea of sub-quests, such as stopping to complete any pirate crazy golf courses I pass, or seeking out local speciality food stuffs in different counties. 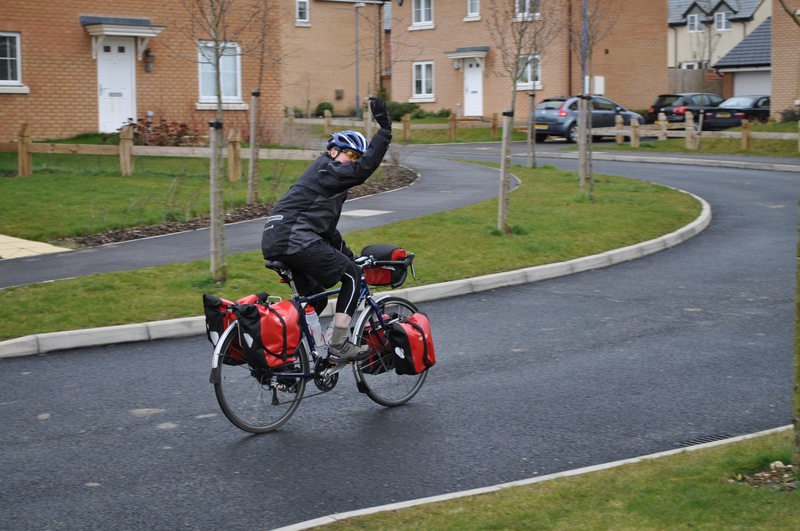 Extra challenges could mean raising extra money for charity, and add another dimension/fun to the tour. I have a number of objectives I want to complete but feel free to suggest further quests and I’ll duly consider them; realise this is a but risky knowing some of my friends. Next week I’ll be planning out my route and stops more. Whilst this will remain flexible and dates will likely shift about it should make it easier to meet up with people en-route, whether it be for a pint, meal, or to join me for a leg or two. 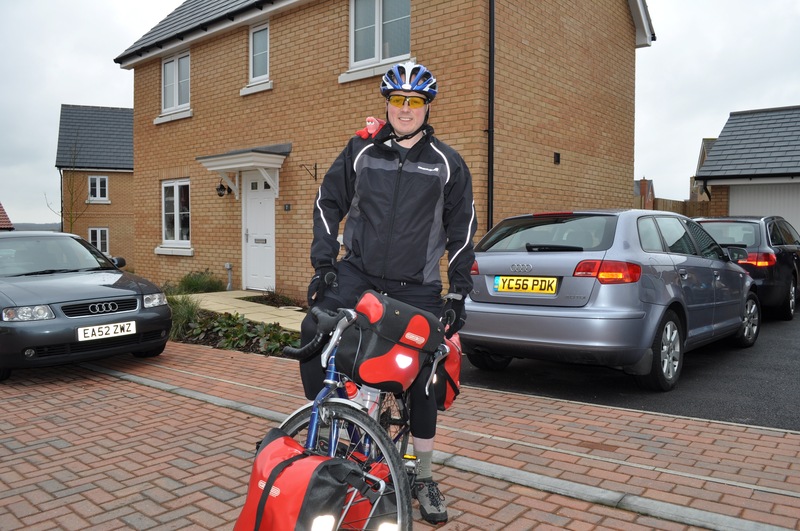 This entry was posted in General, Training and tagged bike, cycle equipment, cycle touring, cycling, expedition, outdoors on March 24, 2013 by SelfPropelled. Best thing for knee pain is rest of course – but so often that is not an option. I have found that wearing a good strong neoprene knee support and doing gentle riding seems to work OK when I want to balance getting / keeping fit and knee pain ahead of a long ride. Prayer has always been good (but that’s another story). From your talk of charging up electronic devices I am guessing you may be using a GPS to guide your travels? I / we use a GPSMap62 and find it reduces the burden of navigation greatly. If that is your approach, might I recommend http://www.bikeroutetoaster.com/Course.aspx as a cloud based route planning tool. On here you can see Sustrans routes, contours, height profiles then download in a format to put onto your GPS. A great tool to plan a route quickly and effectively. Yep, going to rest knee for a bit, and apply ice packs, plus Voltarol gel, and Emu oil. In fact anything that might mend it. I’m using a Garmin Edge for navigation purposes, should do the trick. Will have a look at your link though. micro fishing rod.. not in stock here but should be able to find one..
Might just work, will add to the list as a possibility, thanks James.